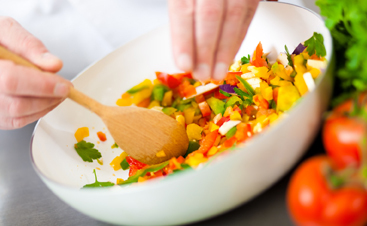 When you’re looking for catering services in Plymouth, Thomas’s Catering should be your first choice. As Michigan natives and experienced caterers, we would be happy to make your special events even more special with our catering services. Whether you have a birthday bash, a backyard BBQ, or the wedding to your beloved, we would be more than happy to provide the tasty food that is central to any successful event. When you’re planning an event, whether it’s a bar mitzvah, baby shower, or family reunion, figuring out how to feed a large group can be stressful. 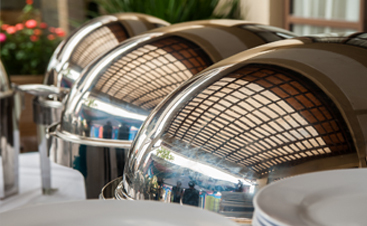 Let us take that off your plate with our catering services in Plymouth! One less thing to worry about means you can spend more time on what really matters. Corporate events aren’t always fun, but that doesn’t mean they can’t be enjoyable. 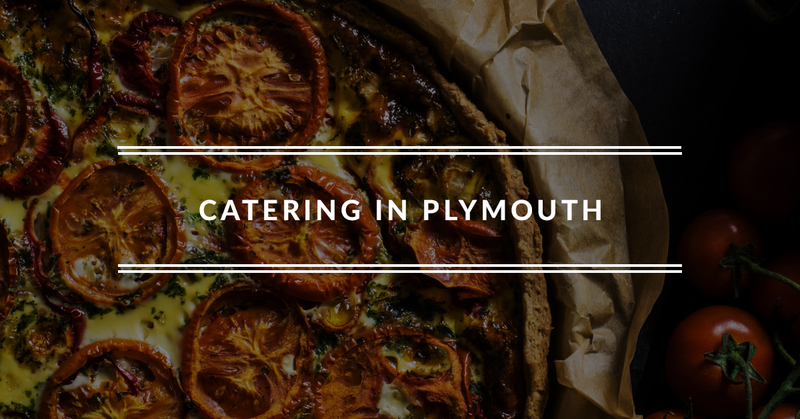 One way to make your next corporate event stand out from the rest is with a skilled corporate caterer in Plymouth! At Thomas’s Catering, we can accommodate groups of any number, so call us to cater your next corporate event, regardless of size. Your wedding day will be one of the most memorable events of your life, and you need a meal that will match it. At Thomas’s Catering, we have years of experience providing delectable wedding catering to couples all over Michigan. Contact us to learn how we can make your special day extra special. The holidays are a wonderful time of year. 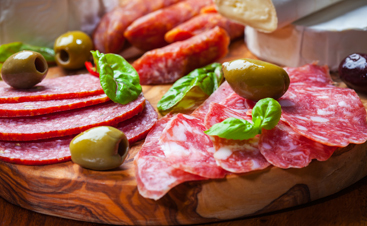 Why not make your holiday event all that much more wonderful with some delicious catering in Plymouth? The added bonus: no dishes for you to wash afterward, so you can keep out of the kitchen and in the presence of your loved ones. Toss that graduation cap in the air and cheer! You have accomplished something great. Why not celebrate with a graduation party catered by Thomas’s Catering? We would be honored to be part of your special day. Regardless of the occasion, we would love to be your caterer of choice. Contact Thomas’s Catering to start planning your event!